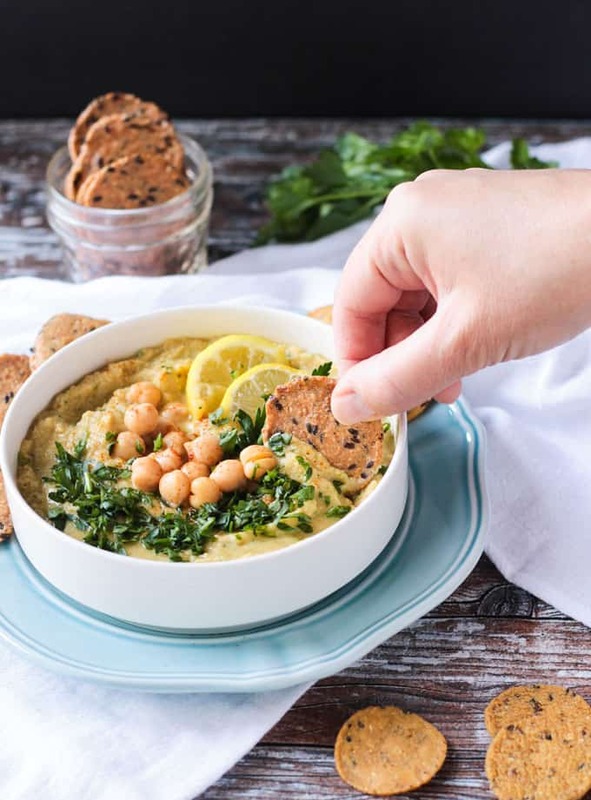 Miso Parsley Oil Free Hummus – a tasty light snack or appetizer paired with crackers or fresh veggies. This recipe comes from the cookbook, Jazzy Vegetarian’s Deliciously Vegan. You guys know how I feel about snacks, so I’m bringing you another one today. 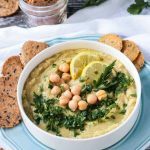 This light and lemony oil-free hummus comes from Laura Theodore’s most recent cookbook, Deliciously Vegan. 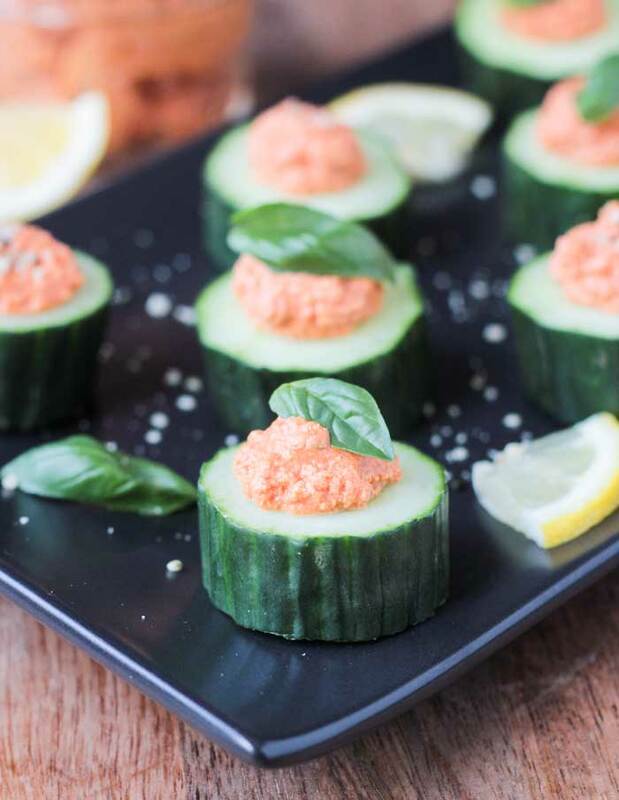 It’s a tasty low-fat snack that pairs great with crackers or vegetables. 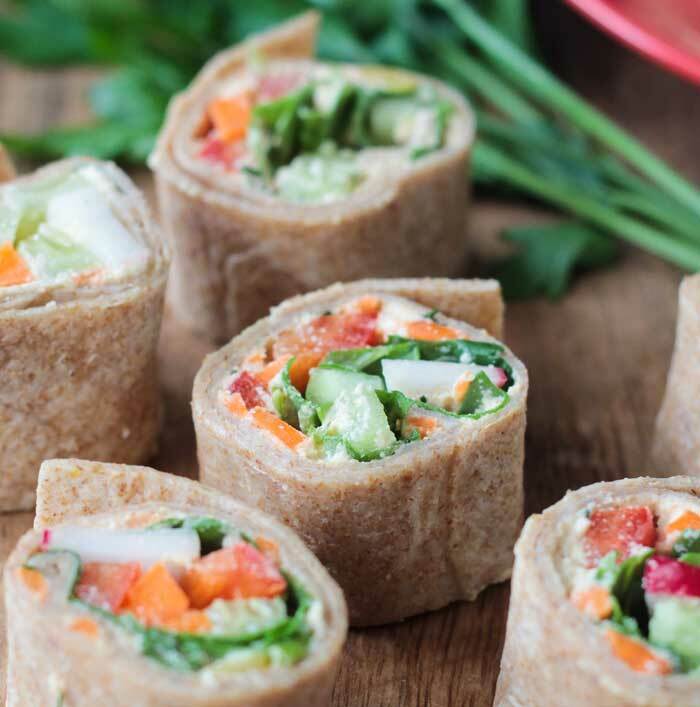 It’s also great as a spread for sandwiches and wraps. The book itself contains recipes from holiday entertaining to easy everyday ideas. There is definitely something for everyone. 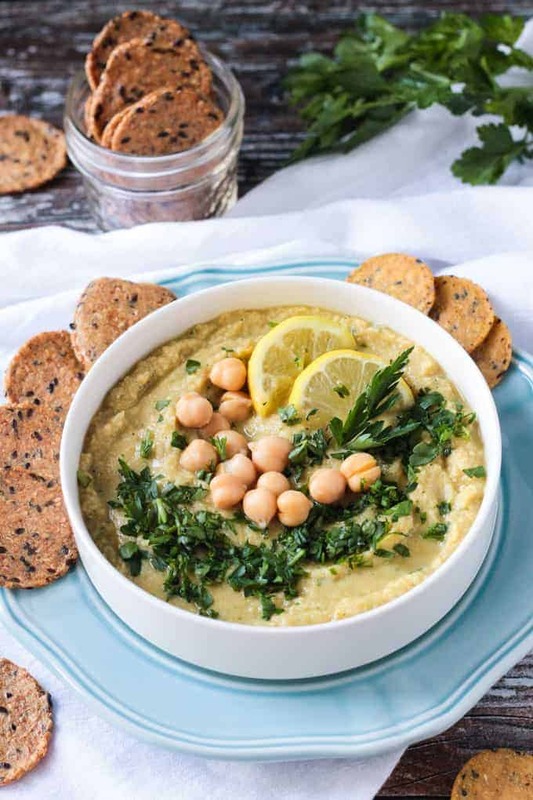 Keep reading for a full review of the cookbook plus the recipe for this Miso Parsley Hummus. Laura Theodore is the fun vegan chef and personality on the PBS television show Jazzy Vegetarian. She is also a diverse singer, known mostly for her jazz. She has several cookbooks under her belt and Jazzy Vegetarian’s Deliciously Vegan: Plant Powered Recipes for the Modern, Mindful Kitchen is her latest. It is the companion cookbook to season six of her cooking show which is airing now. Check your local listings and give it a watch! This cookbook is extensive (over 175 recipes!) covering everything from breakfast to dessert and everything in between. Laura also includes her essential Top Ten lists (Chapter 1) for things like pantry ingredients, egg substitutions, herbs and spices, and options for vegan cheese, among others. She also includes menu plans for holidays, seasons, and style of cuisine, which I think you’ll find very handy. There are 15 chapters in Deliciously Vegan. Let’s take a look at some of the yummy recipes you’ll find. 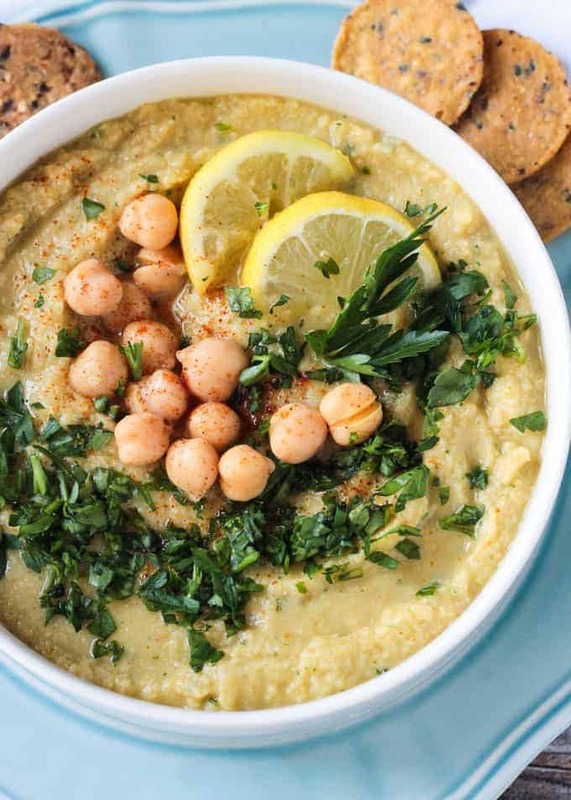 I hope you love this lemony Oil Free Hummus as much as we do. If you try it, please come back and leave me a comment below with your feedback and star rating. You can also find me on social media. Be sure to tag @veggie_inspired and #veggieinspired so I’m sure to see it. 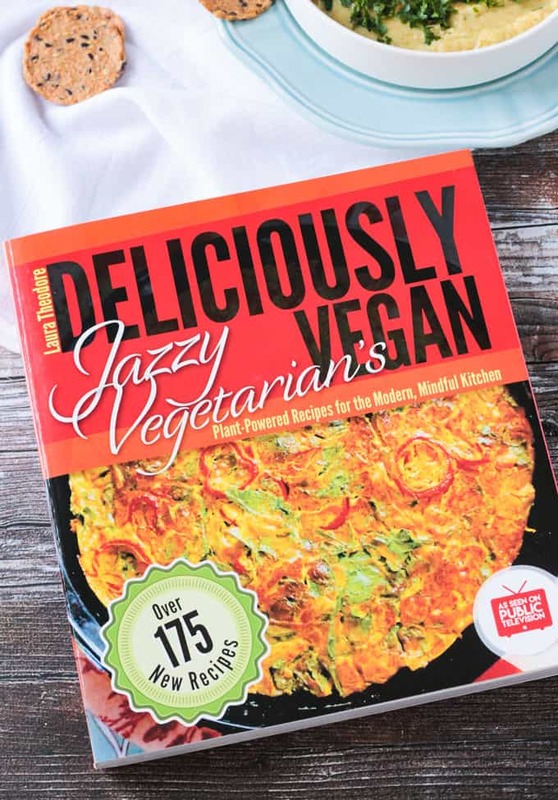 And don’t forget to snag yourself a copy of the Jazzy Vegetarian’s Deliciously Vegan cookbook. 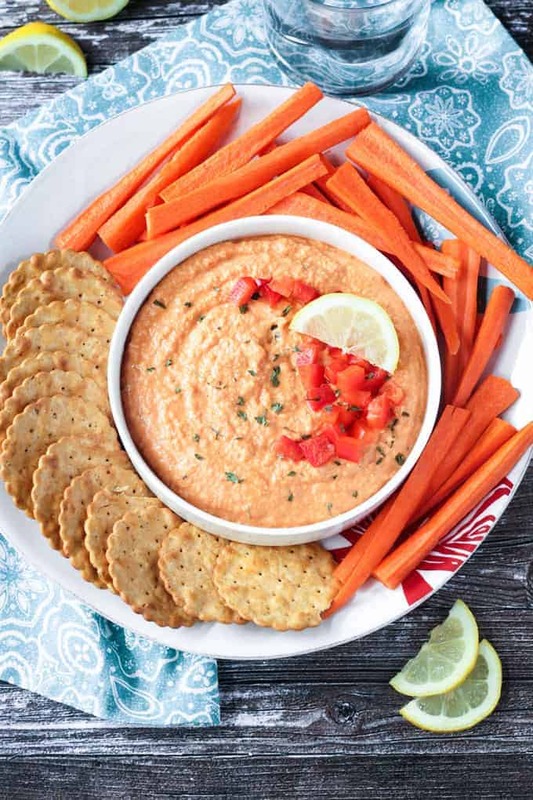 Miso provides texture and taste to this hummus without adding any oil, keeping it a light and low-fat option for a satisfying snack. Chef's Note: For an extra "lemony" taste, use 3 tablespoons lemon juice. ~A note from Veggie Inspired: I added a bit more cayenne and a clove of garlic. Hummus is the most perfect snack food. Love your presentation on this one! I agree! Snacktastic! Thanks, Nicole! We do too! Enjoy Jasmin! I love reading your reviews Jenn and seeing the recipes you selected. That Miso parsley hummus sounds delicious. I can never have too many hummus recipes, and this one is SO going on my list! Thanks so much for sharing it! I keep meaning to check out this book. It sounds so good! So many yummy recipes! Thanks, Sarah!